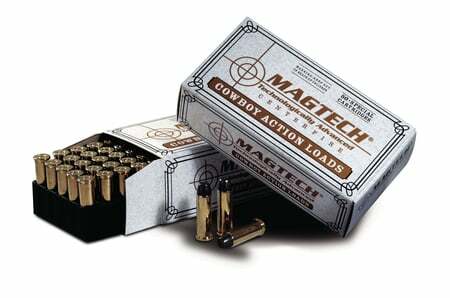 Loaded within the specs as written by the Single Action Shooting Society. Factory brass casings. Flat nose lead bullets are designed to give function with precision in your lever action rifles and single action revolvers.